Submitted by admin on 16th Nov 2016, 16:55. 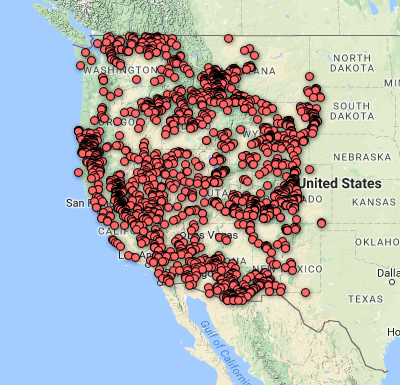 If you don't already know about it, here is a website for anyone who is interested in old mining history, especially related to the western states of the USA. The website contains a huge and comprehensive database of mining localities, mining information, references and some superb old photos. Besides covering several localities there is information about mining towns and some of the social history side of things; including contemporary photos of "ghost towns". Truly a place to immerse yourself and also research the background to some of those places you see on mineral labels!